Our chairs have self decking which is the matching fabric on the deck under the cushions which can be removed to make repairs. Very valuable...! 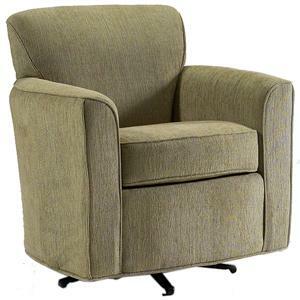 The 9800 Traditional Upholstered Armchair by Lancer at Town and Country Furniture in the Hamburg, Buffalo, Lackawanna, Eden, NY area. Product availability may vary. Contact us for the most current availability on this product. Browse other items in the 9800 collection from Town and Country Furniture in the Hamburg, Buffalo, Lackawanna, Eden, NY area.